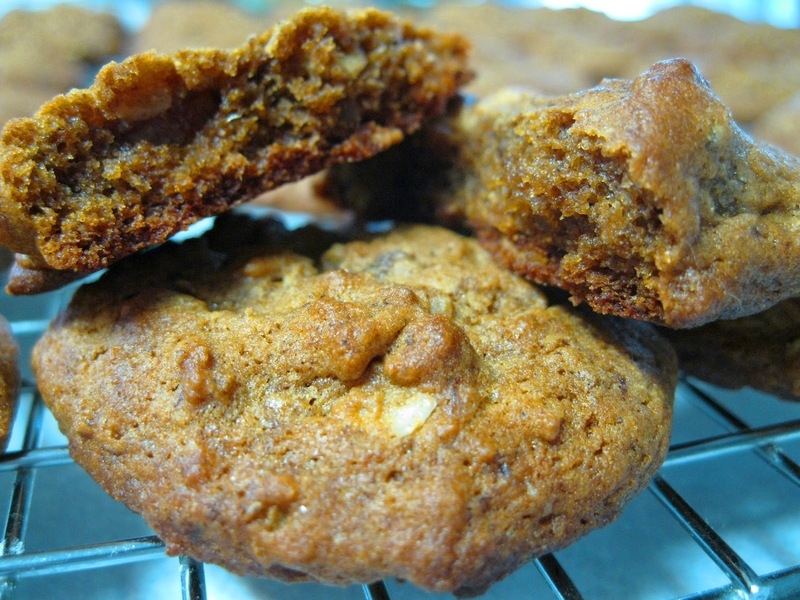 If you love soft, chewy and spicy cookies, these are the ones for you. And the secret to that "spice" - ground pepper. 1. Preheat oven 350ºF. Lightly grease (or line with parchment) two baking sheets. 2. In a large mixing bowl, beat together the butter, sugar, salt, and baking soda until well combined. 3. Beat in the egg, and then the molasses, scraping the sides and bottom of the bowl to blend in any sticky residue. 4. Add the flour, oats, crystallized ginger, fresh ginger, spices, and espresso powder. Mix just until thoroughly combined. 5. Scoop the sticky dough into 1-1/2" balls; a tablespoon cookie scoop works well here. 6. Roll the balls in sugar (either granulated or coarse), if desired. This is easily done by sprinkling the sugar into a 8" cake pan, and dropping the stick dough into the pan. Shake the pan to coat the dough balls with sugar. 7. Space the cookies on the prepared baking sheets, leaving about 2" between them. 8. Bake the cookies for 8 to 10 minutes. The centers will look soft and puffy; that's OK. Cookies baked for 8 minutes will be VERY soft; bake them for 10 minutes, they'll be firmer. 9. Remove them from the oven, and cool right on the pan; or transfer to a rack to cool. To maintain soft texture, store at room temperature once cookies are completely cool. Ok, you know me, adjust recipe to make diabetic-friendly. So first switch - used Splenda Blend and per the conversion chart only needed 1/2 cup. Used Allspice and omitted the pepper. [Due to a friend's food allergy]. Will try this recipe again using the pepper to see how it changes the flavor. Definitely used the espresso powder. Definitely skipped Step 6 - I know it would add to the flavor, but don't need to add to the blood sugar. Used my tablespoon cookie scoop and another small spoon to get the batter out of the scoop and onto the baking sheet. Baked them for 9 minutes - went with semi-soft slightly firm.